Once the installation is concluded, reboot your system and you are done. 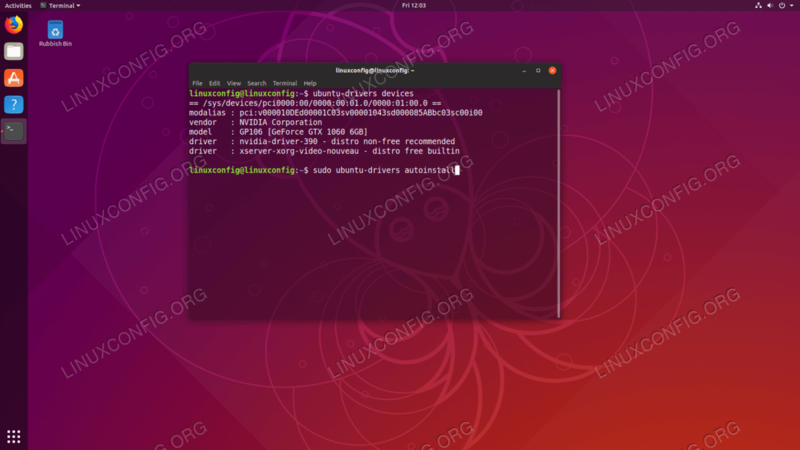 Installed NVIDIA drivers on Ubuntu 18.10 Cosmic Cuttlefish Linux. 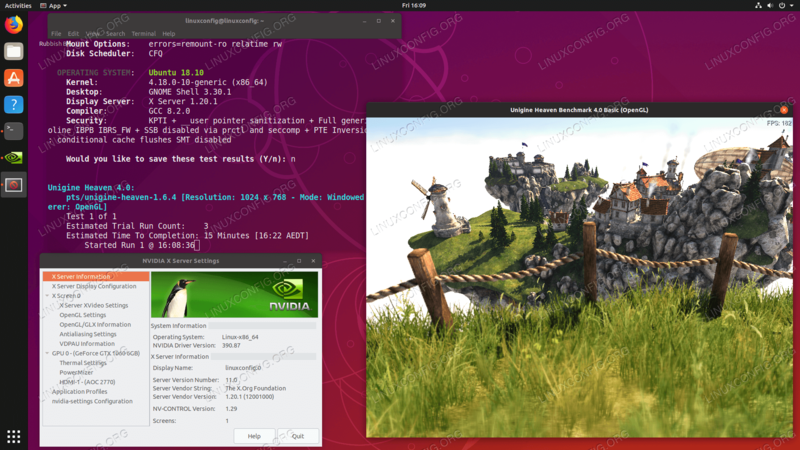 Now you can optionally run Nvidia graphic card test by following our Benchmark Your Graphics Card On Linux guide. Once done, reboot your system. Next step is to disable the default nouveau Nvidia driver. Follow this guide on how to disable the default Nouveau Nvidia driver. Make sure you reboot your system before you proceed to the next step. Hit CTRL+ALT+F1 and login with your username and password to open a new TTY1 session or login via SSH. After reboot your should be able to start NVIDIA X Server Settings app from the Activities menu. and re-run the nvidia driver installation.